The storefront is the first line of branding that reflects a company’s unique image. A wide-open entrance eliminates barriers by creating a seamless transition between street and store and attracts customers inside, which can lead to an increase in sales. With expanded display areas, shoppers are enticed by colorful merchandising, and are readily drawn deep into the store. When time to close, the NanaWall storefront continues the showcase the interior and provides a secure, energy efficient, transparent façade. Retail design is the sales person continues to work, even after-hours. 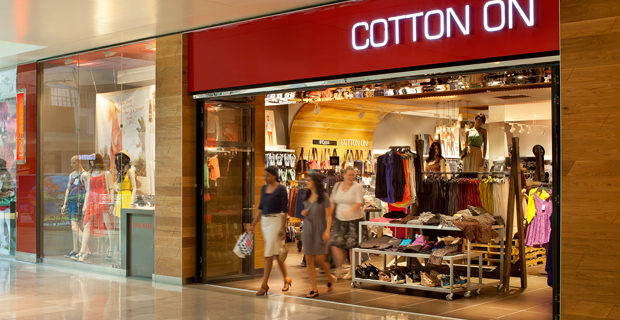 A well-designed store engages customers and attracts prospective shoppers even when staff members are busy. Frameless glass storefront systems give passersby a clear look at what's on offer in your store, facilitating an eye-catching strategy that captivates new customers and retains loyal patrons. 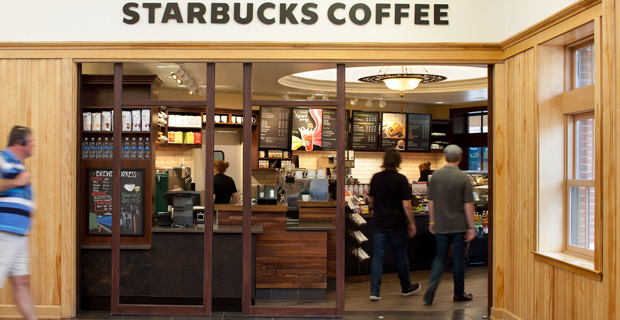 Customer experience is a metric that directly impacts a retail location's bottom line. When shoppers have a great encounter with your brand, they are more likely to recommend your shop to friends and to return to your store in the future. An exterior glass wall system not only makes the show floor more visible from outside, but also lets in natural light and makes the room feel more spacious. Additionally, large frameless glass wall systems allow retailers to create appealing window displays without needing to work around architectural features. Stakeholders can embrace their creativity as they develop new ways of attracting shoppers. Our commercial-grade movable glass wall systems are fully customizable, based on the needs of your brand. Plus, we offer proprietary specifications for corporate logos, colors, hardware elements as well as other branding features. Every NanaWall product is independently tested for air, water, impact and thermal performance. 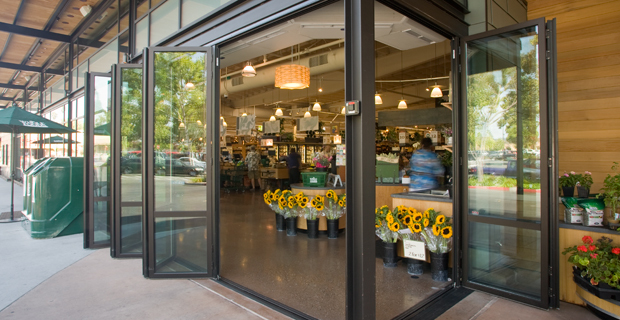 Our German-engineered multipoint locking system meets most forced-entry testing for commercial grade doors, so you can rest assured that your store's merchandise is protected. NanaWall glass doors are built to last, and we will always be your main resource for all of your service needs. Our dedicated architectural support team is ready to evaluate your system and offer design guidance as needed. The Charles Sparks team chose a NanaWall system for this Starbucks because the product allowed the firm to modify the appearance of the wall. They needed to parallel the train station and café aesthetics. At the Whole Foods Market Culinary Center, the design team wanted the flexibility of allowing the space to spill out into the sales floor or to be closed off for private events.